David Roderick’s first book of poetry, Blue Colonial, won the APR/Honickman Prize and was published jointly by The American Poetry Review and Copper Canyon Press in 2006. 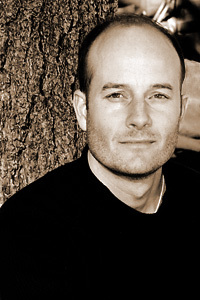 Roderick teaches poetry and creative writing in the MFA Writing Program at the University of North Carolina at Greensboro. He is currently spending time abroad on the 2007–2008 Amy Lowell Traveling Scholarship.